The entrance to Bentley University in Waltham. Bentley University adjunct faculty reached a contract settlement with the school Friday night, just three days before a planned protest, officials said Saturday. The four-year tentative agreement, which was reached after three years of effort and still needs to be ratified by faculty, improves wages and teaching conditions for more than 200 faculty at the Waltham campus, according to an announcement from the union representing the adjuncts. The contract includes across-the-board increases in per-course pay, more consistency in who teaches courses semester to semester, and a formal process for adjuncts to address workplace conflicts and violations. It also gives adjuncts access to funding to support research, scholarship, civic engagement, and professional practice. 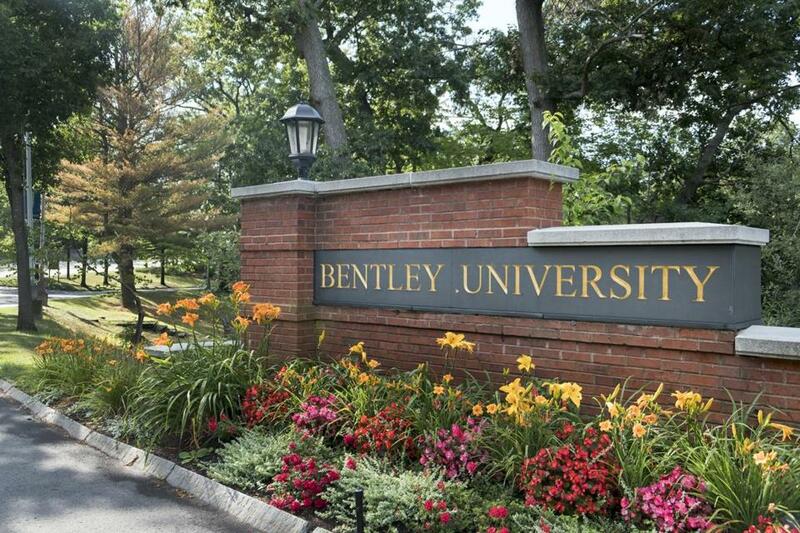 Bentley adjuncts voted in February 2015 to join the Service Employees International Union Local 509’s Faculty Forward Division, which includes Boston University, Northeastern University, Tufts University, Brandeis University, and Lesley University. Adjuncts at BU, Tufts, Lesley, and Northeastern have all reached agreements in the past two years. According to the union, negotiations are underway among nontenured faculty at Brandeis. Globe correspondents J.D. Capelouto and Mina Corpuz contributed to this report. Evan Allen can be reached at evan.allen@globe.com. Follow her on Twitter @evanmallen.